Sure, I suffered from Breaking Bad withdrawal syndrome after the show’s excellent fifth and final season. Symptoms included watching episodes of Metástasis, the Colombian telenovela-style, Spanish language remake; obsessively reading news about upcoming spin-off, Better Call Saul; and wishing the hoax about a Season 6 was true. The condition is widespread, shared by fans of other cult hits like Dexter and The Wire. Many take to the alternate universes of fan fiction and art, and who can blame them? We become as engrossed in the lives of television characters as we do members of our own family, though I feel for you if your family is as dysfunctional as Walter White’s. 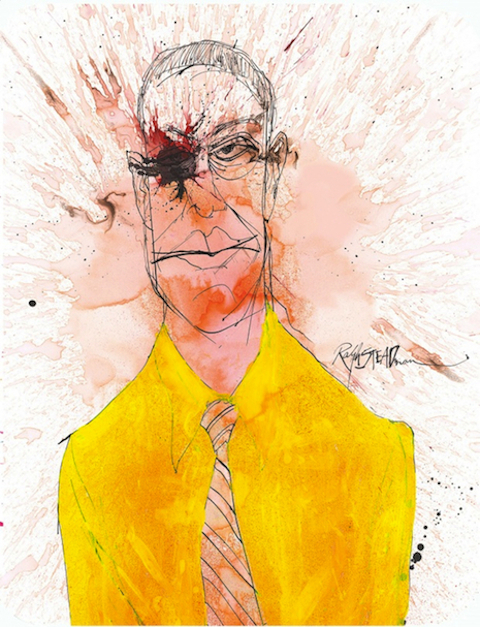 Steadman’s illustrations for Thompson’s Fear & Loathing in Las Vegas, a “surreal drug-fueled road trip” of a book, prefigure the lawless liminal spaces of Breaking Bad’s surreal desert landscapes (remember the turtle?). 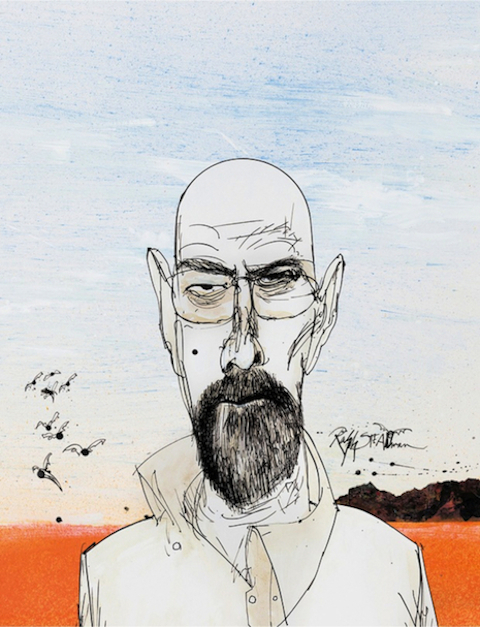 His renderings of a crazed Thompson on his “savage journey to the heart of the American dream” perhaps even inspired the dangerously unhinged journey Walt and Jesse take together. 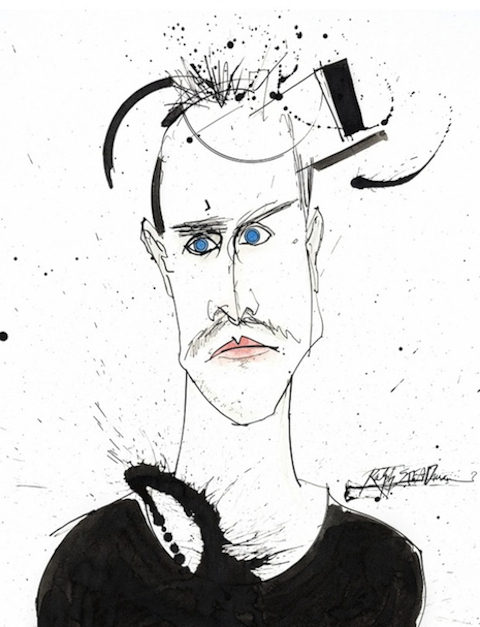 Coming in February, the Steadman-illustrated Blu-ray collection is a limited edition and will, Dangerous Minds informs us, “be sold exclusively by Zavvi.com ($30 bucks each). Pre-order is going on now but be forewarned, the Gus “The Chicken Man” Fring edition for season four (as well as Mike Ehrmantraut’s season five and Hank Schrader’s show finale season) have already sold-out.” Lots of Breaking Bad addicts out there, desperate for a fix. If you’re one of them, act fast, though it’s likely Steadman will eventually offer prints for sale (and maybe mugs and t-shirts, too) on his website. See the other three covers over at Dangerous Minds.